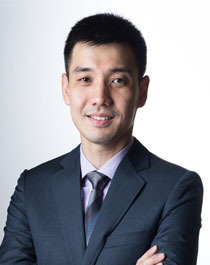 Dr Liew is a consultant cardiologist in the department of Cardiology, Changi General Hospital. He is currently the Chief, Department of Cardiology. His primary focus is on general cardiology with a special interest in coronary artery disease. Dr Liew completed his cardiology training in Singapore and obtained his fellowship in Interventional Cardiology in Kaohsiung Chang Gung Memorial Hospital, Taiwan. He is trained to perform coronary artery angioplasty procedures for patients with ischaemic heart disease. Dr Liew is the Director of the Acute Myocardial Infarction program in CGH. He leads a multi-disciplinary in coordinating the care of patients who suffer from acute myocardial infarction. The AMI program is one of the two JCI-accredited clinical care programs for cardiology in Singapore. He is also actively involved in the Singhealth cardiology senior residency program as a core faculty as well as the Duke-NUS CVS ACP as an EXCO member.